I’m just the best. Really. I’ve always held the philosophy that it’s better to be good at a lot of things than great at just one thing, but with age comes experience, and with all the years I’ve spent sucking up oxygen on this fine planet of ours, I’ve become fairly adept at a few things. 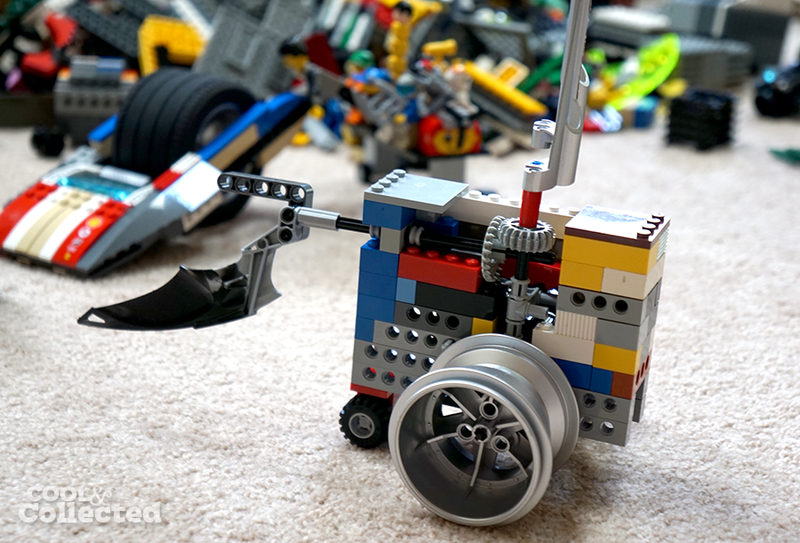 For example, I can build LEGO Battlebots that consistently crush my kids’ robots. I’m really good at finding parking spaces, and that’s without sitting and waiting for someone to leave — anyone can do that. Being an eternal optimist, I’m really, really good at getting my hopes up and getting excited for things that probably won’t happen. Luckily, much like an excitable Labrador Retriever, I don’t let the disappointment drag me down before moving on to the next thing. Squirrel! I am absolutely awesome at starting new hobbies. For me, the best part of a hobby is starting one, buying all the supplies, researching like mad, before slowly getting bored and drifting away. I’m probably the gold medal winner for being humble, I mean I rock at that! Nobody can hold a candle to my humility. In your face! I’m also really good at yelling at bad drivers, playing the guitar badly, breakdancing, planning to exercise, the drive-thru, deciphering vanity plates, watching movies, being impatient, dessert, channel surfing, rolling my eyes, and using the lowercase i when writing about myself. I did a little research and learned that the current owner holds renaissance-themed events there — and amateur wrestling matches. Genius! Have you ever seen the game show Bumper Stumpers? Oh man, had I buried memories of that one in the vault. Once you mentioned it though… yeah, I remember that show. Man ,It must be hard to stay humble when your so good at so many things. Cool church. And yes, I totally understand about starting new hobbies.